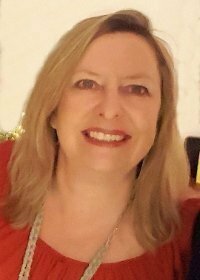 Memories make up an integral part of expat life, memories of “home” or previous countries lived in, often rose tinted, usually nostalgic, sometimes sad, mostly happy, but always there. Of course every life is comprised of memories whether expat or not, but here I’m talking from a personal point of view as an expat since birth. My memories are helped kept fresh by many things including photos, music, smells and importantly, souvenirs. Souvenirs, for me, are precious keepsakes from my well-travelled life not just trashy trinkets from a weekend away. Definition in English: souvenir n. a thing that is kept as a reminder of a person, place, or event. Definition in French: souvenir n. a memory or a keepsake, se souvenir v. to remember. The English word comes from the French. Souvenirs/memories, memories/souvenirs, in the Franglaise life I lead I find these two words being used interchangably, they’ve practically become one. My souvenirs, things picked up in the 9 countries I’ve lived in, help keep my memories alive. And so my house is literally littered with souvenirs. Not t-shirts, mugs and magnets bought at the airport to remember a week’s holiday (though of course I have those too) but furniture, art work, soft furnishings, musical instruments, books, toys, crockery, even cutlery and glasses. Look around my house and it’s obvious I’ve travelled! Vintage Vietnamese lacquer plate of Ho Chi Minh and Australian Aboriginal carving. 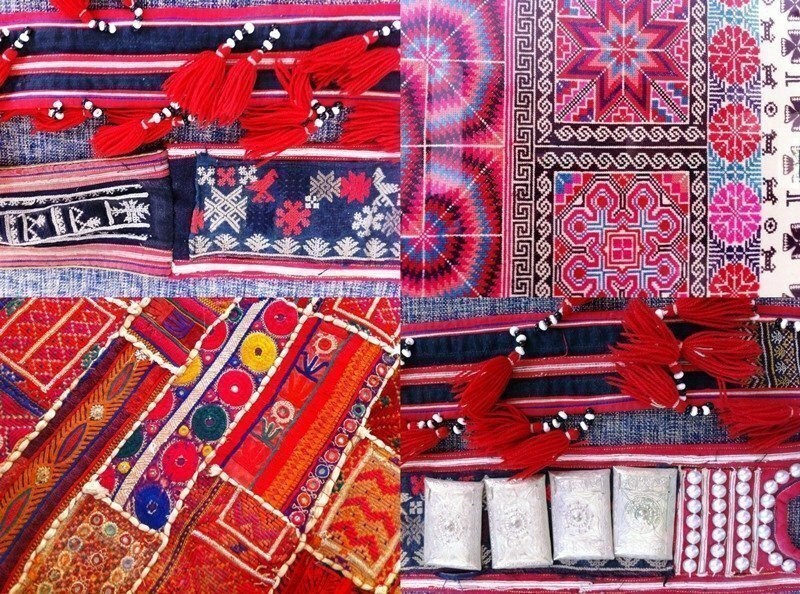 Hand embroidered ethnic fabrics from Vietnam, China and India. Indian clay toy vegetables from my childhood in a Bosian enameled bowl. Hand-painted Czech Easter eggs in a Russian lacquer bowl, Indian miniature painting and Indian padlock and kohl bottle. Detail from a Vietnamese painting. 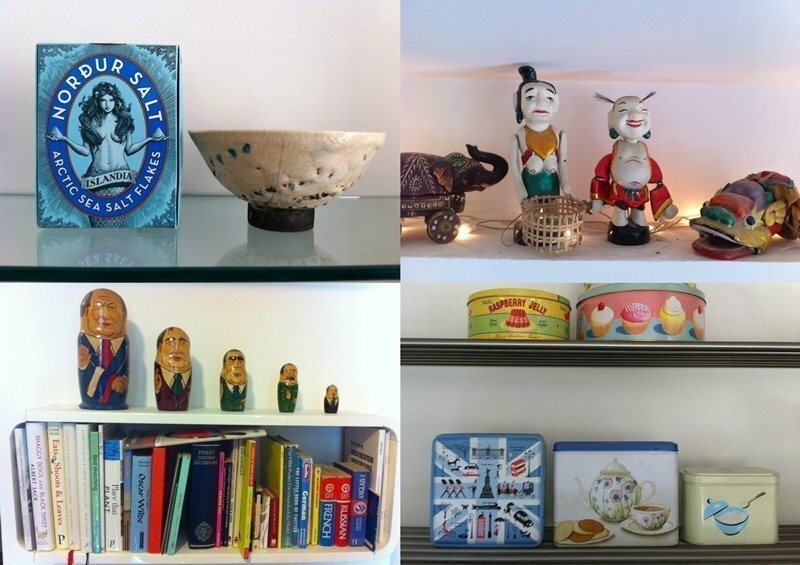 Shelf displays of an Icelandic salt box and French bowl, Vietnamese water puppets and Indian wooden elephant, original matryoshka dolls of Yeltsin, Gorbachev, Brezhnev, Stalin & Lenin bought in Bulgaria at the fall of the iron Curtain in 1989 and English tins. Vietnamese antiques: opium pipe, silver chopsticks and silver and ebony boxes. Something I come across more and more on social media, in this day of sharing every life event, is the trend of “creating memories”. I see blog posts and Instagram pictures about families creating memories. And, so? Memories are wonderful, that’s not the issue, it’s the idea behind going out expressly to “create memories” rather than to have fun. It’s as if living/enjoying the experience for itself isn’t enough, it has to be boxed up as an amazing memory for the child to have. Surely that comes naturally as a result of having had an exceptional/interesting – dare I say it – memorable experience. It doesn’t have to be labelled and it can’t be decided beforehand that it will be a memory. I’ve even seen things like “bucket list for the weekend: create memories”! This encompasses another pet hate, the ever more prevalent Bucket List. Isn’t this supposed to be things to do/see/accomplish before you kick the bucket – as in die? So unless you plan on dying by the end of the weekend, isn’t it really just a “To Do” list? 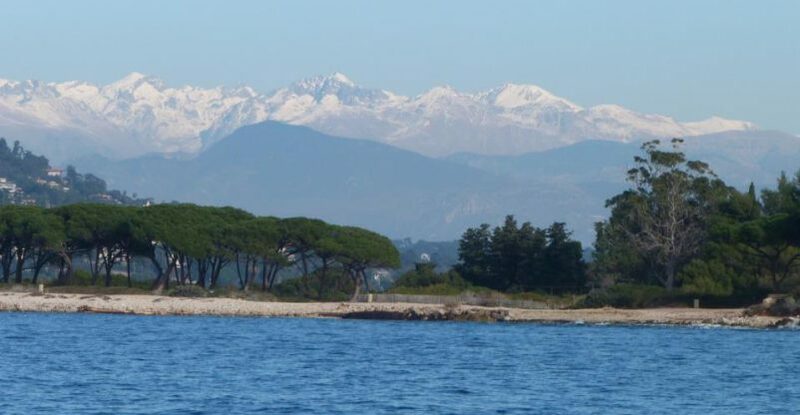 Doesn’t having a bucket list for the weekend, or half-term holiday or whatever, undermine the premise that bucket lists are for exceptional, usually one-off experiences, often aimed at stretching or challenging your comfort zone or realising a dream? I know I know, the meaning of the expression is mutating and I need to get with it, but it’s one of my bah humbug things. I can’t! Just sayin’… I digress…. 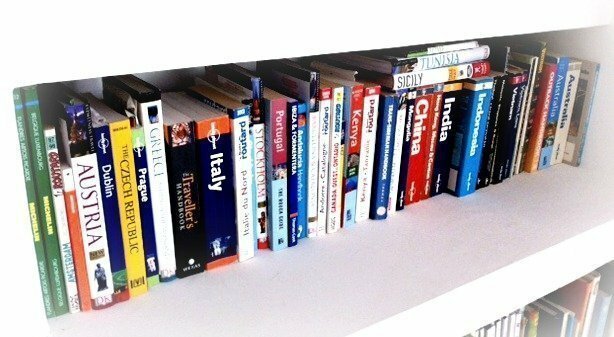 Authentic cookbooks from around the world. Hand embroidered tablecloth, chopsticks and hand-made traditional pottery from Vietnam. Didgeridoos from Australia on an Indian rug. Vintage fan and lacquer coasters from Vietnam. Can and bottle coolers from Barbados and Australia. So back to my souvenirs, almost without exception the bits and pieces I’ve photographed here came from places I’ve lived. If not lived then spent significant amounts of time (months) in. You’d think that after 10 house moves in 6 countries during my childhood and a further whopping 19 moves in 4 countries since leaving home aged 18, I’d have nothing left! Each time I get rid of a ton of stuff, I really do! But I still have a lot of souvenirs. And I’m glad. I love my stuff. One of my favourite souvenirs ever came from Mongolia – a place I haven’t lived in (!) This tin of horse meat “Dish for Travellers” survived 20 years on display in my various homes until I had to throw it away last year as it was leaking! I never opened it, that wasn’t the point, I didn’t buy it for the meat. I bought it as for me, it was unique. It summed up what a wild frontier of a place Mongolia was in 1994, just emerging from Soviet control. I simply loved the basic functionality of its design with old Mongolian script, a bit of Cyrillic and wonderfully pragmatic English translation. Who could resist such handy travelling victuals! Do you keep souvenirs? Or do you keep memories alive another way? I’d love to hear from you. 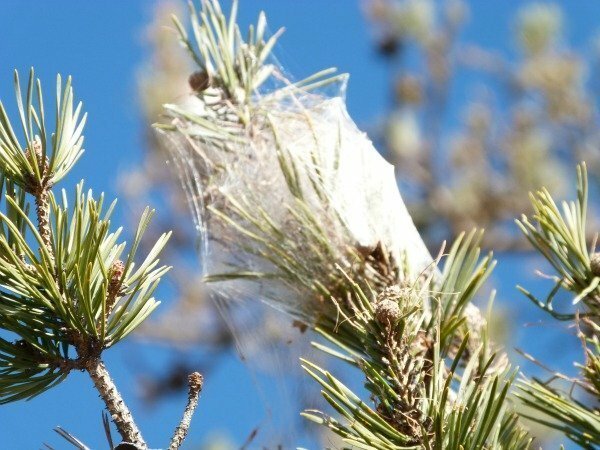 Processionary caterpillars – what are they? Did I mention I like to travel? Luckily pieces like furniture and paintings on the walls are too big for kids to lose! He’s in the garage Ruth. I took a photo of him but had to edit plenty out or this post would have been far too long. As you know I have a ton more stuff than shown here!!! Yes I think it is! I have very few things from my childhood. In fact I can’t imagine how I still have those Indian clay veggies! A miracle really. Yes to all your points. My “souvenirs” are so much more than that, they are also part of me. No you’re right, I can’t! Oh I look forward to your series. You know where to come if you want a guest blogger!! Your utterly tacky royalist plate sounds like my kitsch Ho Chi Minh plate. I love stuff like that! Great to hear from another collector. Part of me would love to be more minimal, but it’s just not me! I love the fabrics too Amy. That’s exactly what I did with my horse meat – took a photo. I’m still amazed that I have so much stuff as I’ve moved so often too but somehow the favourites make it through the selection process each time. Can’t imagine Catherine! Doesn’t run in the family at all…….Actually I didn’t open the tin up and the little leaks didn’t smell but yes I bet it ponged if I had opened it fuly. We always bring back a magnet for my mother in law who collects them on her fridge. I’ve also slowed down as my life is much more ordinary and stable now. Most of these things are at least 20 years old. I’ve also had to throw things away when they get too manky! I don’t have many Czech eggs left as they break so easily. I hope you make it there one day Lisa. We’re running out of space as I’m sure you can imagine! Gosh thanks for such lovely words Liisa, and I like your analogy. I hope you got your piece of art. Ha ha Louisa, you made me chuckle! Another person with a stubby holder collection! Yay!! I’d love to look through your things, all those Stans intrigue me and I bet you got some unique things from there. Yes it was Erica. I was so sad when I had to chuck it, but so glad I had the idea to photograph it at least. Thanks Nicole. I couldn’t be without my artwork. we have so many more pictures than I showed here!! thank you Liz, I like that…”classiest set of souvenirs”! Well at least you can take them out and look at them if you want! I’m glad you enjoyed and “got” my post! Thanks for hosting Chantelle. 9 countries is pretty unusual Betty. 2 is good! We’ve run out of space too Helen! Please do come back soon. Thanks Meg though I’m not sure I like tothink of my house as an exotic auction house, maybe it’s time to auction some off! These are amazing, so many memories too. I don’t see the Ho Chi Minh bust….? That’s a good one! Gosh, you are certainly well travelled. It must be nice to be surrounded by all of your precious keepsakes. What an absolutely amazing collection you have! I wish I had taken more care of my childhood artefacts. The thing about souvenirs though, to me at least, is that they take on huge significance when you move around a lot. “Home” is a rather vague concept to me, but I am very clear on what I do and don’t like. The things I choose to buy and cart around with me, therefore, aren’t just reminders of a certain place. They’re reminders of ME: who I was at the time I bought them, what I liked. They help define who I am, and I love them for it. I’ve made a bit of an effort not to buy too many things when I travel. I don’t have a lot of disposable income and I’m not sure how much stuff I’ll be able to take home with me when I re-patriate in a few months. But you know what? I kind of wish I had more things from my travels, things I can display proudly in my home when it’s time to settle down. I like the idea of having a global home. I love those fabrics, they are beautiful. Such a lovely collection. I love collecting pieces from countries too (I’m about to start a new series on it on my blog too!). That fan made me gasp- how awesome! And yes- like many of your readers I too collect things. I call them my doo dads or tchochles. I have a cheap IKEA cabinet where I keep these things now (one of my faves is an utterly tacky cheese plate of the new NL king and queen) and they’re from all over. I’ve even gotten the boys into it which makes me happy! Wow! You have some amazing pieces. I can’t even begin to imagine travelling to and living in so many different places. I’ve only lived in five houses since I was born 43 years ago. 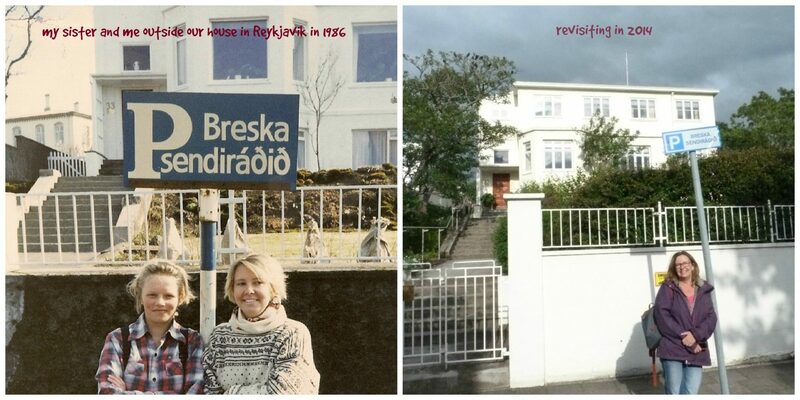 Two with my parents, two with my husband in UK and we have now lived in the same one in France for over ten years. I do have a dream of travelling in a camper an though, but in France. The hand embroidered fabrics are gorgeous! How amazing to have been able to travel so much! You have some lovely items! Fabulous collection of memories. I too have lived all over the place and collected a lot of not just souvenirs, but a lot of STUFF. I have just downsized my home and losing a lot of space was really distressed at the thought of having to get rid of so many of my memories. Then I heard Barbara Hulanicki – the Polish born founder of the iconic fashion brand Biba – on the radio and because of her and her family’s experiences of having to leave Poland without being able to bring their possessions, she said she now kept very little in the way of physical belongings but would take a photo of her “things” so that her memories remained with her wherever she was! In this digital age it is even easier so I did this and I love scrolling through the pictures on my computer! I’m absolutely not suggesting you get rid of your amazing collection though! I wonder where you get your love of souvenirs from? I do remember the horse meat. Didn’t realise it had gone. I bet it was smelly. Quite right Alphonso. He is the best! What an incredible set of souvenirs! I ALWAYS try to bring someting back with me from travels and days out, even if it’s just a fridge magnet. Such an eclectic mix. I didn’t realise you’d lived in so many countries! What some amazing keepsakes and memories – there is something amazing about being able to look at an item and it bring back all those smiles. Wow you have some amazing items, I would love to come for a nosy around your house! I don’t have many items around because we don’t have space, however, I do have a giraffe and rhino which I brought back from Kenya and they are very special. This post brought tears to my eyes. Your choice of words made me nostalgic. You are right about a trend to using the term “creating memories”. Makes me think of life as a 7 countries in 5 days type of tour. Now, I am going out to buy that piece of art I have been contemplating. Goodness me you have so many beautiful and interesting souvenirs, it sure beats a straw donkey! Love these Pheobe – what a great collection! I have a few beautiful things but as I mention in a comment above, many of my old things are stored away or lost forever 🙁 There wasn’t much worth buying in either St Lucia or Jamaica, and we had to leave so quickly from Islamabad we didn’t manage to buy much. Looking forward to lots of shopping in South and Southern Africa…..
Ditto! He callled them tat when we first moved in together 🙁 We have collected a few things from our travels together which are allowed out but my African masks and other items are somewhere packed away…. Two things that have survived the chop though are my husbands stubby holder (can cooler) collection and our Christmas tree ornaments, a lovely way to get an annual surprise and reminder of your travel days gone by without cluttering the shelves too much. Sourcing them in some countries is also a great scavenger hunt! You have a wonderful collection. Yet again I am struck by how similar we are as I could have written your post. Sadly most of our souvenirs are in storage in Europe but we do have a collection of stuff from Russia, Kazakh, Kyrgyz and Uzbekistan, Turkey Cambodia and Sarawak with us at the moment. I never had a tin of horse meat though, I really envy you it. Love your souvenirs – I bet the horse meat tin was a bit of a talking point. Great pieces! Love the artwork! We have just left Hong Kong and there are so many pieces I wanted to get before we left, thankfully our friends got us a gorgeous pic of the HK skyline which hangs on the wall in our new home in China. Things like this make for great memories. You have quite possibly the classiest set of souvenirs I have ever seen! I am totally in love with the delicious turquoise salt box. Great display of souvenirs but you forgot your best french souvenir, your husband!! Loved this Phoebe such a great post!! I love the souvenirs you have from the various places you have lived. These are things you’d never find from being on holiday somewhere these are true real life objects and they are beautiful!! All the more special as they have true memories for you I love it!! If we ever leave Seychelles there will be things we take from here that while not bought as souvenirs will become them! Things we live with that are part of our lives, our memories!! I too am not such a fan of going out to ‘make memories’ !!!!! What a fantastic collection, Phoebe. An instant reminder of your experiences. I’d love to bring back more from my travels but I’ve run out of space! 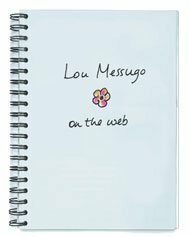 Enjoying your blogs and longing to get back to Lou Messugo one of these days.